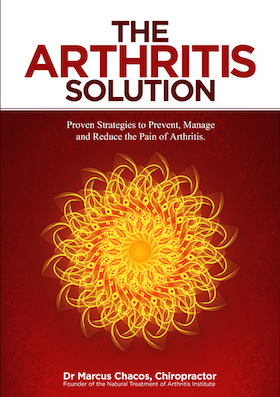 The Arthritis Solution Program is dedicated to helping sufferers reduce and even reverse the debilitating effects of arthritis, naturally. This is achieved with over two decades of research and clinical experience delivered through education, coaching, workshops and chiropractic care. This program is currently being expanded to offer an all-encompassing solution for Arthritis Sufferers. Watch this space! Arthritis relief, no matter where you are! Canberra and Queanbeyan locals can visit Dr. Marcus Chacos in his practice to experience one-on-one wellness care and join the thousands of people who have already improved their quality of life. For individuals or groups that live interstate or overseas and would like to experience healing through The Arthritis Solution, Dr. Marcus is available for zoom or skype calls where he guide you through the program step by step and equip you with the tools, knowledge and information you need to prevent, manage and alleviate your arthritis pain!